Why is farm fresh best for you and your family? In this series, we explore the many reasons. Reason #2: You know where your food came from! 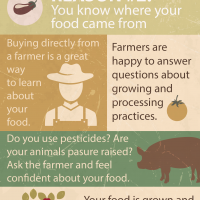 When you buy directly from a farmer, you can ask questions about your food and create a connection with the people who grow it.